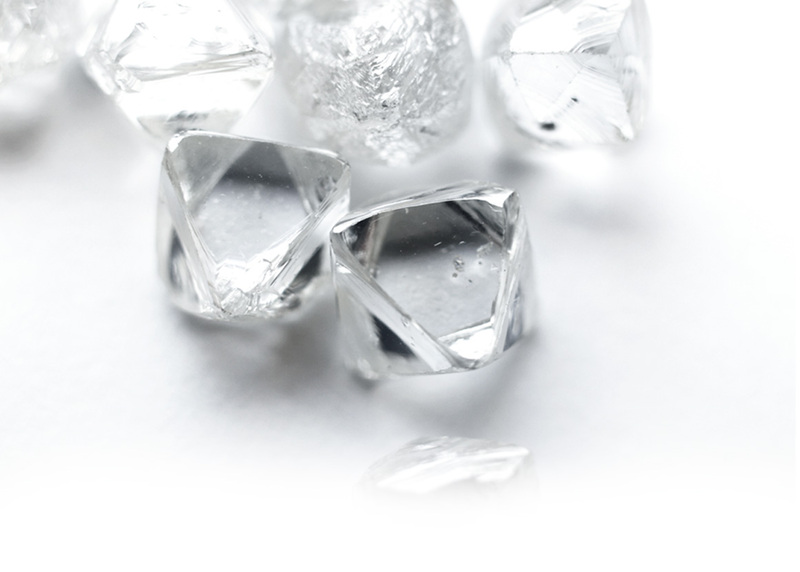 The diamonds we enhance are dug from the same diamond mines as those sold by every other diamond company. 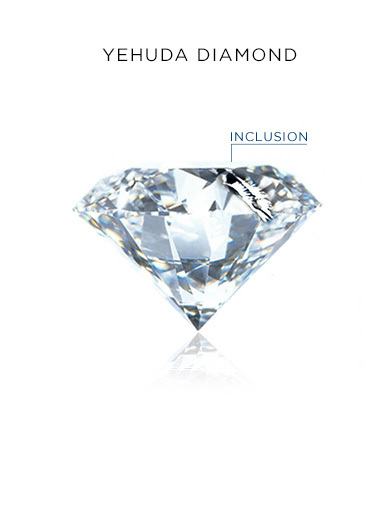 Our proprietary technology allows us to make certain types of inclusions within a diamond disappear so that they are no longer visible to the naked eye. 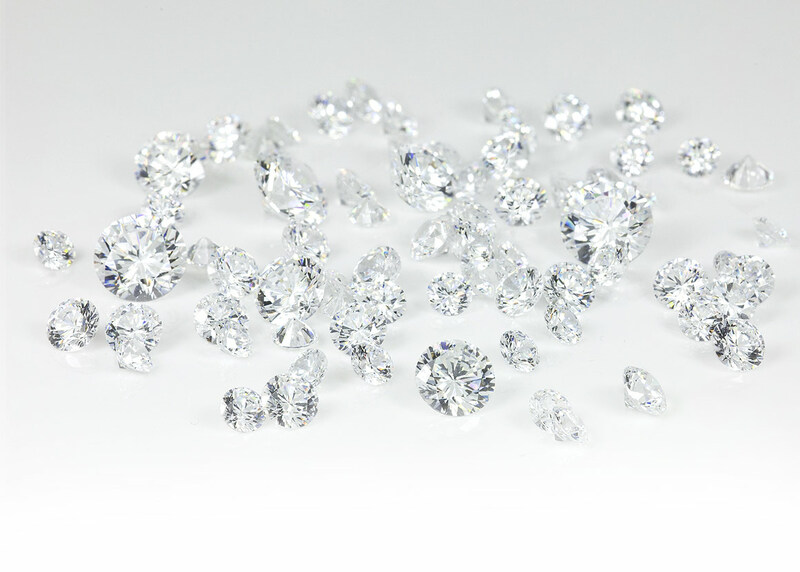 Every diamond crystal that comes from the mine must be studied by an expert to maximize the size and beauty of the finished stone. 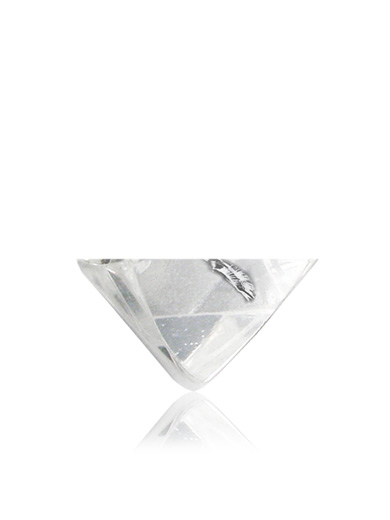 One possibility would be sawing the octahedron in half, in order to manufacture two equal size diamonds. 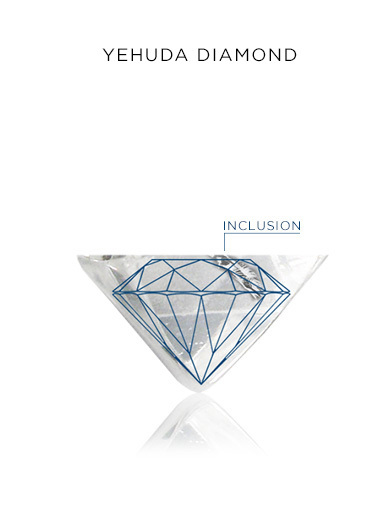 Since our proprietary process allows us to make certain types of inclusions invisible, we are able to cut a much larger diamond than any other company. All of that extra size, weight and beauty are yours at no extra cost. On the Right: The diamond cutter is forced to cut this diamond so that the inclusion does not appear in the polished stone. The result of his cutting will be a small diamond. 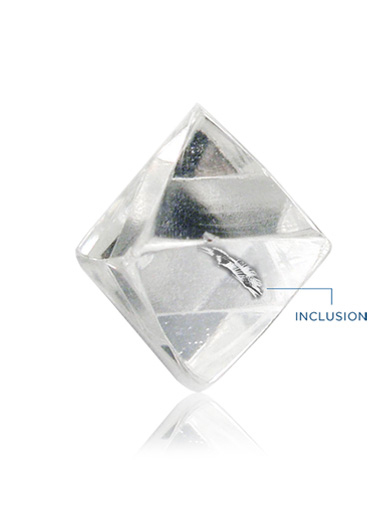 On the Left: Yehuda is able to incorporate the natural inclusion within the finished diamond by making it invisible to the naked eye. 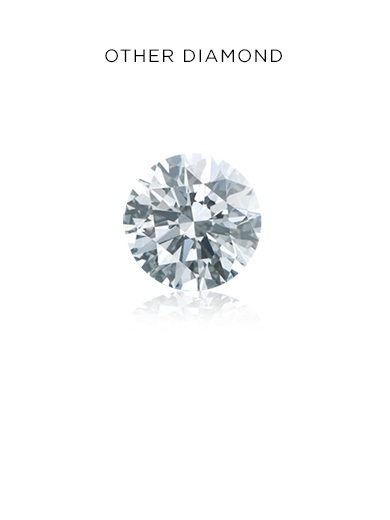 The result of our cutting is a much larger diamond than anyone else can offer you. Yehuda inserts a microscopic amount of a proprietary substance into the inclusion, making it completely invisible to the naked eye. 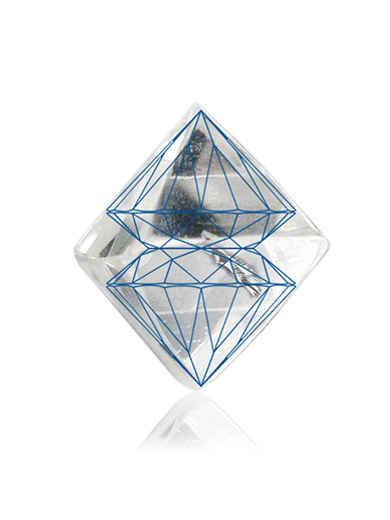 This unique material has the same optical properties as the diamond, so that light can now pass through the inclusion. The amount of material we use is so extraordinarily small that our competitors have never been able to extract it, study it, or copy it. 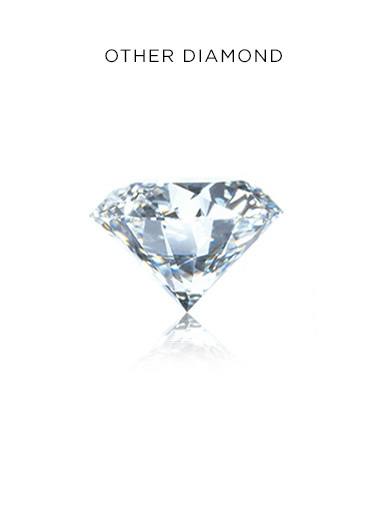 The type of diamond inclusion called a “feather” is the only one we can make disappear. Although the “feather” is still there, you can not see it and neither can anyone else, not even a jeweler. The treatment can be reversed only by strong acids, bases or a jeweler’s torch. 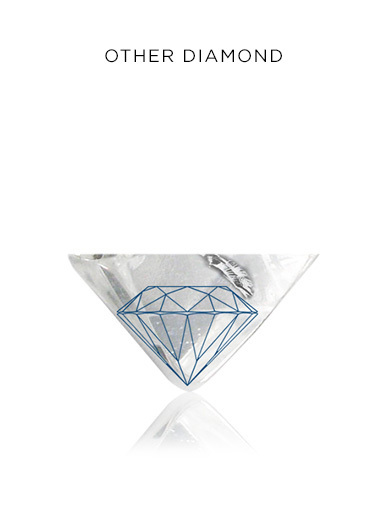 In the extremely unlikely event that this would ever happen, we’ll be happy to re-enhance the diamond at no extra cost.